Is it possible to step on an invisible island of total isolation without being radically dislocated from the everyday environment? Where is the threshold between anxiety of isolation and romanticism of solitude? What can be more exclusive than the space where one can hide from the hectic world in just a few simple steps? 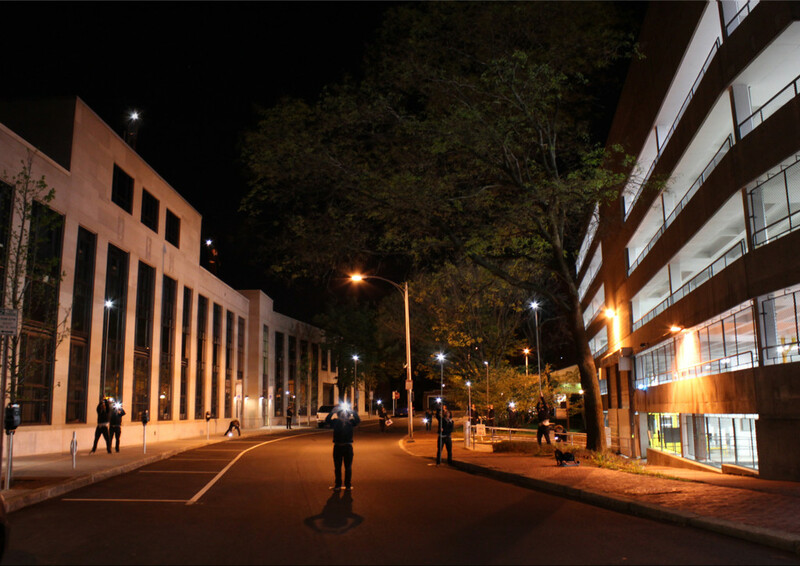 The project seeks to digitally scan and model an invisible space within a specific urban surrounding where all wireless signals cease to exist. Starting from Felton Street situated between Harvard and MIT in Cambridge, MA, the project reveals the data gap within the very heart of the technologically advanced system. 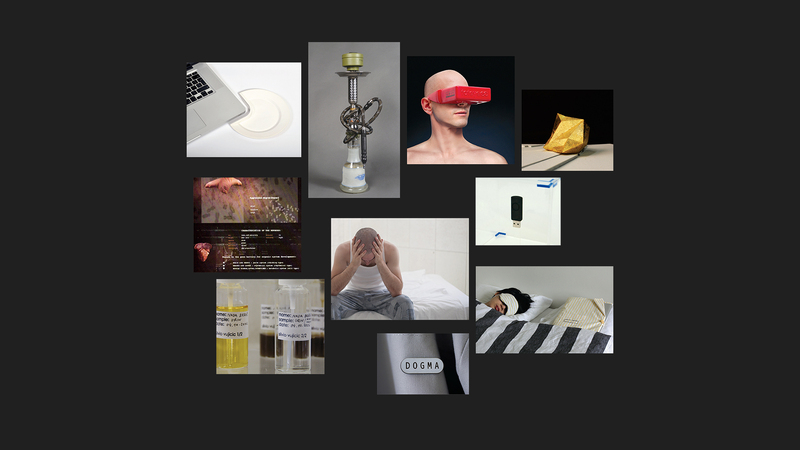 The project merges design research and contemporary art practice as a technique for speculation about our urban and technological futures. 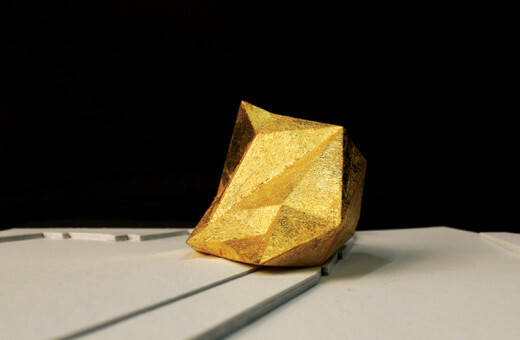 After site-specific mapping of wireless signal in Felton Street, a 3D model of data gap was rendered and later printed on a physical object coated with 24-carat gold. The final product is a model of disappearing emptiness, a “golden relic” of our near future.